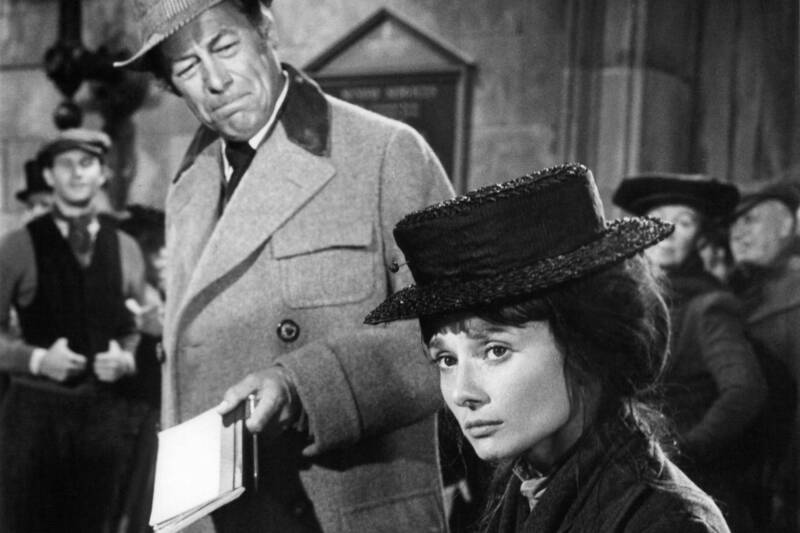 Rex Harrison and Audrey Hepburn in a scene from the film ‘My Fair Lady’, 1964. Photo: Getty Images/Warner Bros. If only the men who write our musicals would write our labor laws. Not only would they be more entertaining, they would likely be more practical. Take Audrey Hepburn in “My Fair Lady.” In her role as Eliza Doolittle, she not only turned in a wonderful performance but also delivered a lesson about upward mobility that is particularly timely today in light of the latest war of modern progressivism: on nail salons. Enter Audrey Hepburn. In her opening scene, her Eliza Doolittle is selling flowers on the street when she realizes someone is taking down every word she says. She confronts him, insisting she’s a “respectable girl” who is doing nothing illegal. It turns out the man—played by Rex Harrison—isn’t a copper but a professor of phonetics. That’s because most of what they propose does nothing to resolve the fundamental issues the Times rightly identifies as making these women workers vulnerable to abusive bosses: They don’t speak English, they don’t have skills, and about a quarter of them are here illegally. All this greatly limits their job opportunities. To put it another way, will a crackdown on licensing really help women who will need to complete the 250 hours of study for a New York state license? What about closing down the salon of a rotten employer because he doesn’t pay the women sick leave? In a 2001 column, no less than Paul Krugman noted a similar case of good intentions that had terrible unintended consequences, citing a bill proposed in the 1990s by Sen. Tom Harkin (D., Iowa) to outlaw child labor in products made overseas. The threat of the legislation succeeded in the sense that some companies in Bangladesh stopped hiring children. But Mr. Krugman noted that follow-up research by Oxfam found that the displaced child workers ended up in even worse jobs, or on the streets—and that a significant number were forced into prostitution. Whether by minimum-wage boosts that make them more expensive to hire, licensing requirements that make it more difficult to get a job, or other forms of regulation that will likely mean fewer nail salons and fewer jobs, it’s not hard to imagine displaced nail salon workers in America driven more deeply down into the black market, or into something worse, such as prostitution. By contrast, wouldn’t a simple guest worker program help those here illegally more than a higher minimum wage? Likewise, wouldn’t a concerted effort that helped these women learn English do more for their opportunities in life than enforcing paid sick leave? Come to think of it, wouldn’t a rapidly growing economy creating jobs give them more avenues of escape from an abusive boss than piling more regulations onto an already sluggish economy?